There are a lot of people connected to the Thor mythology floating around in Marvel comics right now. There’s Jane Foster, the current God of Thunder. There’s the Odinson, the former Thor. 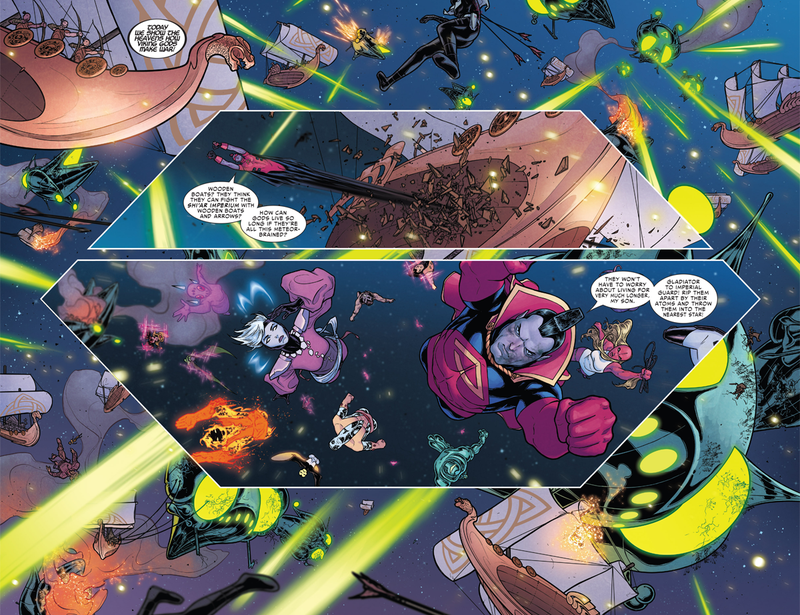 And there’s a mysterious new “War Thor,” the new wielder of the Ultimate Universe’s Mjolnir. And they’re about to team up. 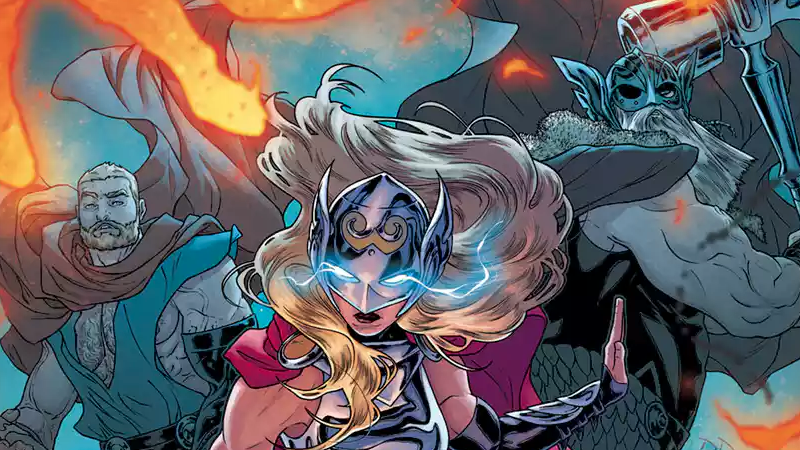 Revealed by Comic Book Resources today, The Mighty Thor #20 will set the stage for the Odinson (in the wake of his decision to stop seeking the worth of a Mjolnir at the end of The Unworthy Thor), and the new Ultimate Thor (who claimed the Ultimate Mjolnir at the end of the same miniseries), to join Jane and the epic war between the Shi’ar and Asgardians currently playing out in the pages of Mighty Thor. The full cover for Mighty Thor #21 by Russell Dauterman and Matt Wilson. Have I mentioned how goddamn good the art in this book is? So many mysteries, so many spaceships to blow up with your space-viking-longboats, so little time! The Mighty Thor is one of my favorite ongoing series at Marvel right now, so to see it evolve with the presence of the former Thor and this new character will be very intriguing when it begins to play out in June.